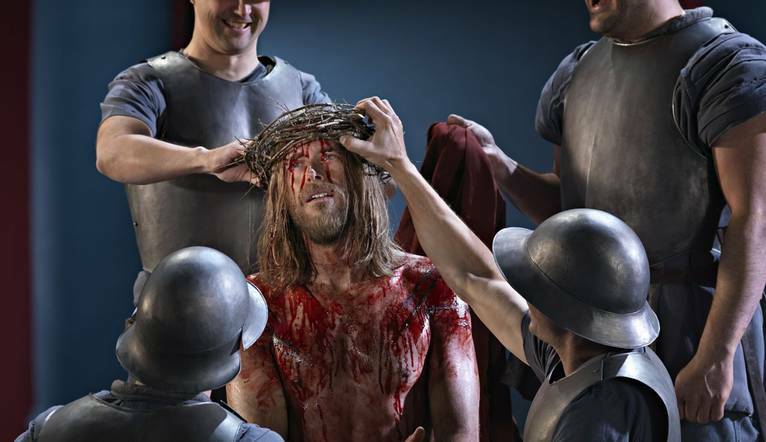 Join us for two dates in the Summer of 2020 as we witness the spectacular Passion Play in Oberammergau. Held only once every 10 years, we combine this remarkable performance with a stay in glorious Bavaria’s Capital, Munich. Stunning scenery, a world famous play and cosmopolitan culture and history all create a once in a lifetime experience. The origins of this extraordinary play began in 1633 when the Bavarian village of Oberammergau was struck down by the Great Plague. The inhabitants prayed for their lives to be spared, pledging in return an oath to perform a play every ten years depicting the trial, suffering and resurrection of Jesus Christ. The death rate slowly subsided and the villagers believed they had been spared and have kept up with vow since the first performance in 1634. Today, visitors from across the world join here to marvel at a cast of approximately 2,000 amateur actors from the region, as they unfold scenes of The Passion Play. • To be in the play, you must be a resident of Oberammergau. • Over 2,000 citizens are involved including acting, singing, musicians and technical support. • There are 124 speaking roles, a 65-member orchestra, 48 person chorus and hundreds of people involved in the back end including stagehands, seamstresses, firemen, auditorium attendants and more. • Men grow out their hair and beards to make the look authentic to the time. Costumes are handmade. • The play is performed in German, but it doesn’t seem to stop people from all over the world, including those that are not of religious backgrounds that are intrigued by the way the town comes together to perform this play. It is anticipated over 750,000 will attend in 2020. We stay in comfortable 3* accommodation in or near Oberammergau for 2 nights (details to be confirmed). This centrally located hotel is just a few minutes from the main station with many well-known boulevards, shopping delights and sites within walking distance. The transfer time between Munich Airport and the hotel in Oberammergau is approximately 1 hour 30 minutes, depending on the traffic.